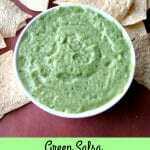 Smooth, spicy Green Salsa (Avocado Tomatillo Salsa) makes a great topping for tacos or chicken, or as a dip for tortilla chips. How is your summer going? So far, we haven’t had much of a “summer”. My mother-in-law had open heart surgery two weeks ago and is in rehab now so we can’t really go anywhere, my daughter has willingly been in a summer school program that’s designed to keep kids busy and learning, and it’s been raining buckets almost at least once a day. We never even got around to putting up the pool or planting a garden this year. I haven’t really been cooking, either, but I should be able to start doing more now. I haven’t posted anything spicy in awhile, not since the Cheesy Bacon Chile Rellanos back in the beginning of May. I’m not sure if you all think that’s a good thing or a bad thing, but I still love spicy foods. 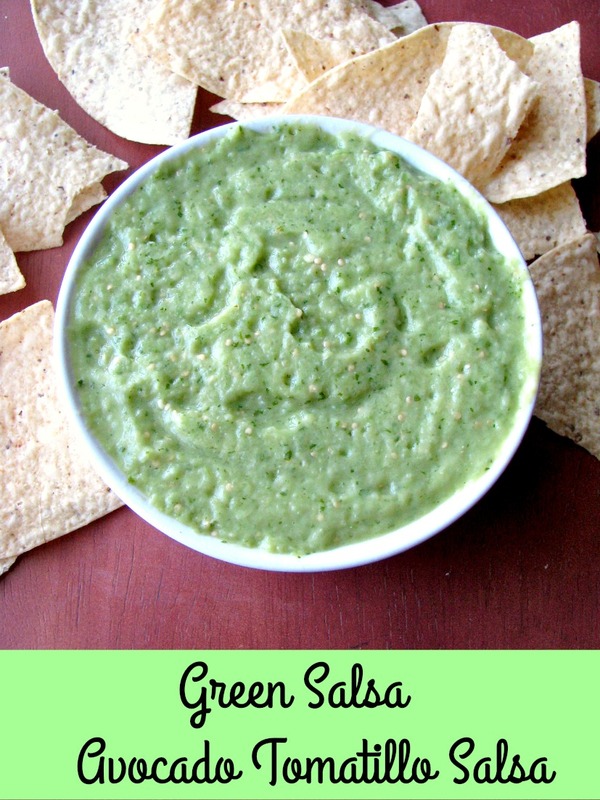 I also love avocados, so this Green Salsa made with avocados is perfect for me. It’s easily adaptable to your tastes. I used a jalapeno in my salsa, but you can use any pepper you like. Leave the seeds in if you like it hot, or leave them out if you prefer. 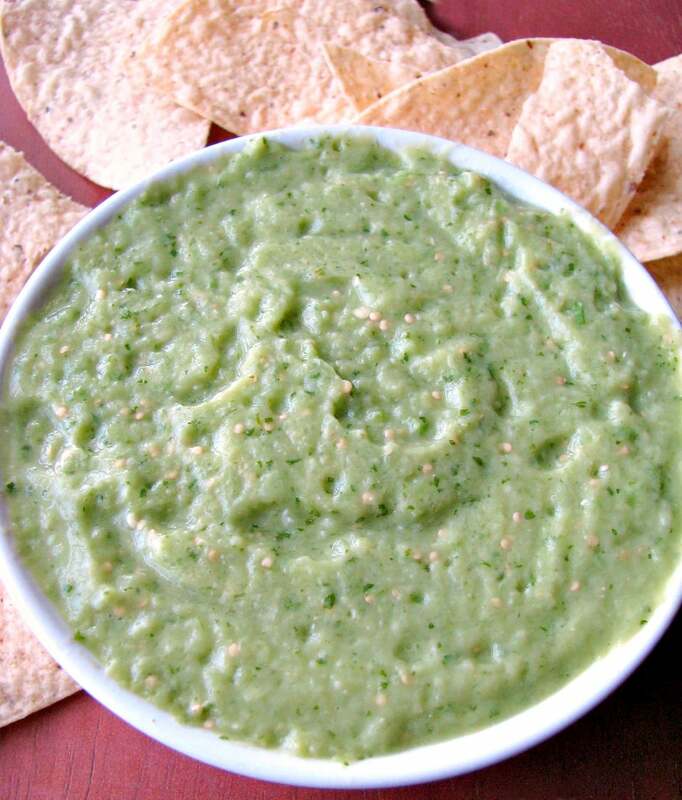 You can also make this Green Salsa creamier by adding an additional avocado. There is enough lime juice in this recipe to keep the avocado from turning brown for a few days as long as you keep it tightly covered. You might want to make a bigger batch if you are serving it at a party, otherwise the recipe below should be good for 6-8 people. Add all ingredients in small batches into the opening of a food processor, processing in 10 second increments, until all ingredients are added and the salsa is smooth. 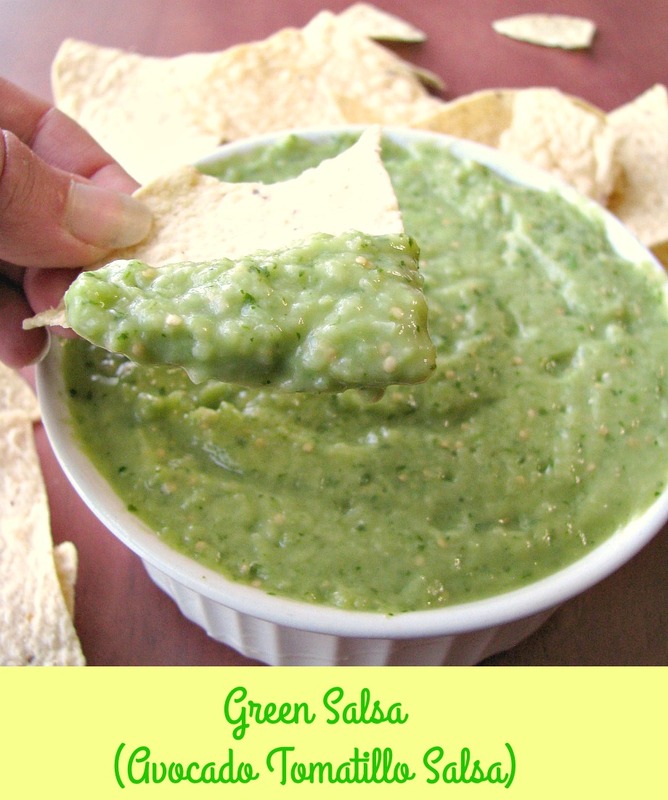 Pour the salsa into a bowl, cover and refridgerate for at least two hours before serving. Total time includes chilling time in the refrigerator.